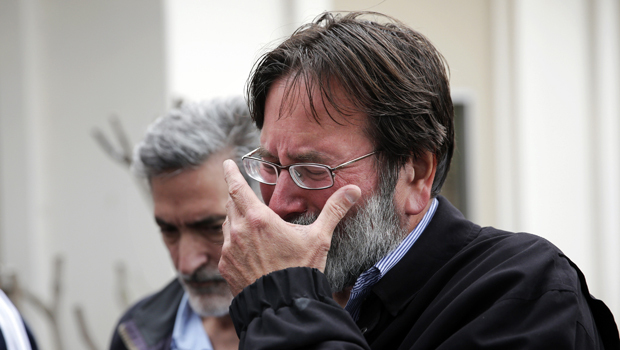 SANTA BARBARA, Calif. -- The father of a college student who was gunned down in the May 23 mass killings near the University of California, Santa Barbara said he met privately with the father of his son's killer on Sunday. Richard Martinez told KEYT-TV he met Peter Rodger, the father of 22-year-old Elliot Rodger, at a Santa Barbara coffee shop. He wouldn't discuss details of what he called a "private conversation between grieving fathers," but said they reached common ground. "We plan to work together so other families such as ours will not suffer as ours have," Martinez told the station. Martinez has been an outspoken critic of the nation's gun laws since his 20-year-old son, Christopher Michaels-Martinez, was shot in the rampage that left five other UC San Barbara students dead. Police believe the killer took his own life after crashing his car as officers moved in. Elliot Rodger's parents issued a statement the morning after the killings that they were "staunchly against guns" and support gun-control laws. They said in another statement Thursday that it had been "hell on earth" knowing their son's actions led to tragedy.